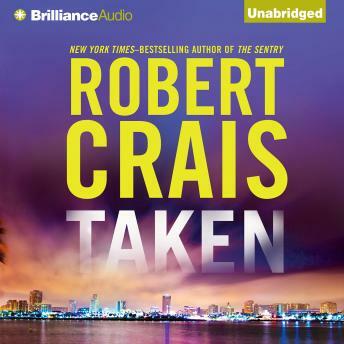 Crais has never written a book with the power and intensity of Taken. When Nita Morales hires Elvis Cole to find her missing adult daughter, she isn't afraid, even though she's gotten a phone call asking for ransom. She knows it's a fake, that her daughter is off with the guy Nita will call only "that boy," and that they need money: "Even smart girls do stupid things when they think a boy loves them." But she is wrong. The girl and her boyfriend have been taken by bajadores - bandits who prey on other bandits, border professionals who prey not only on innocent victims, but on one another. They steal drugs, guns, and people - buying and selling victims like commodities, and killing the ones they can't get a price for. Cole and Pike find the spot where the couple were taken. There are tire tracks, bullet casings, and bloodstains. They know things look as bad as possible. But they are wrong, too. It is about to get much worse. Going undercover to find the couple and buy them back, Cole himself is taken, and disappears. Now it is up to Joe Pike to retrace Cole's steps, burning through the hard and murderous world of human traffickers to find his friend. But he may already be too late. Thrilling, emotional, passionate, with some of the best characters and well-crafted writing in all of crime fiction, Taken is further proof that "Crais just keeps getting better" (Publishers Weekly).